Truthfully, I was quite blunt about how much the game annoyed me in my review. A fair amount of that was due to the grind to get keys so you can unlock more prisons. This is why I'm really happy to see the editor, so you can create and play as much as you want. It's great when developers add a built-in editor, unlike some games where the editor part isn't available on Linux. Team17 and Mouldy Toof Studios haven't let us down, good stuff! I've personally tested it, included downloading a couple from the Steam Workshop and they all seem to work fine too. If you subscribe to a workshop prison, it seems you do need to reload the game to have Steam download it. What's great about the feature, is that it still features local co-op and online support for the custom maps. See the announcement here which includes patch notes. Well. 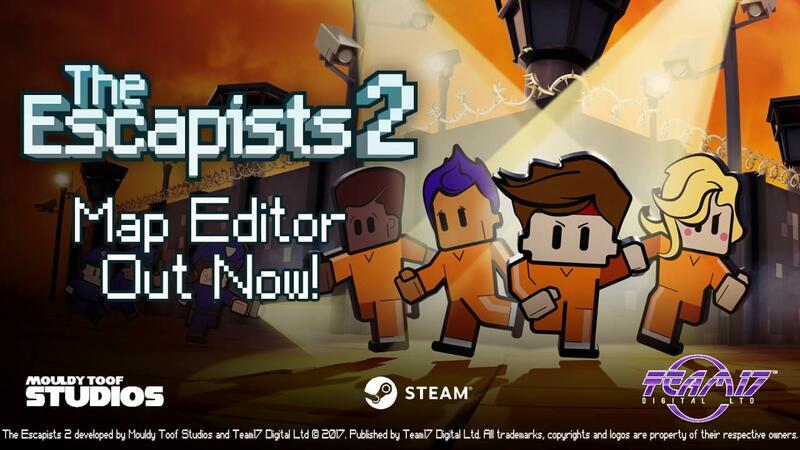 Why don't they team up with Prison Architect? Their game is made for building prisons after all.